Although the stage is probably still in pieces from last year’s performance by the President ie Beyonce it’s time to head back to Indio. Taking into account all of the acts small and large, this year’s ‘chella line up is very well played by the people over at Goldenvoice. If you are not terribly excited about it but didn’t want to sell your tickets do not fret. There are still plenty of chances to hit the party scene to bask in splendor and utter euphoria. From Thursday to Saturday Prims Desert House wil be passing out free drinks and food as they debut some of the latest fest-ready styles. Come get your lewks from the team before heading out to the grounds. Pixi Beauty will available Saturday from 12-4 for free mini-makeovers and gifts. If you like secrecy in public then head to the village. A four-day inclusive playground that mixes parties and campgrounds. If you want to get away but be in the mix then apply now to get in. It is invite only so be ready to put your pen where your mouth is. 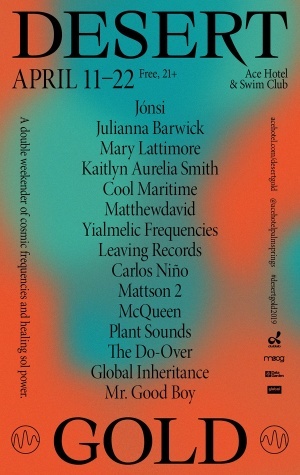 If you touch down Thursday head to the ACE hotel to start Coachella weekend at the Amigo Room @ The Ace Hotel. If you’ve been before then you know it’s where it all starts. No RSVP Needed. Slide through, it’s lit. RollingStone LIVE starts the weekend with one of two parties its throwing during Coachella. All of the Thursday parties are in Palm Springs making it easy to bounce around if you prior proper plan but do know they can get to capacity. Visit the Ace Hotel with Coachella veterans and newbies alike for their annual party. Happening both Weekend 1 and Weekend 2 for DJs by the poolside , pop -ups and more. Check on the RSVP for the list of daily events. 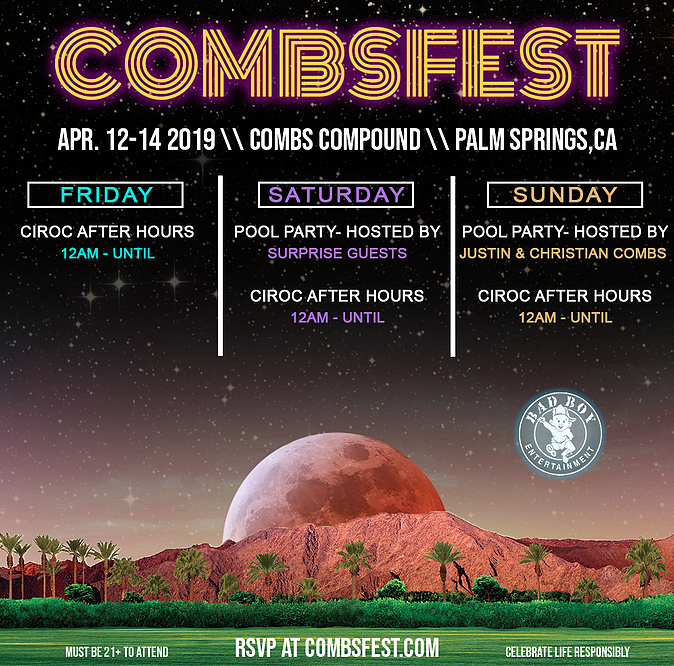 Combsfest is opening the doors of Friday, Saturday, and Sunday of Weekend 1. RSVPs are limited and require you apply and be veted by the team. But if you get in then you for sure are bound to have an amazing time. If I learned anything from Coachella, it’s always shoot your shot at this parties because you never know. Poppy x Google x Wynn Nightlife ….. it’s worth the try. Mix and Mingle with The Ivy Plus Society at the infamous Shag Store in Palm Springs. 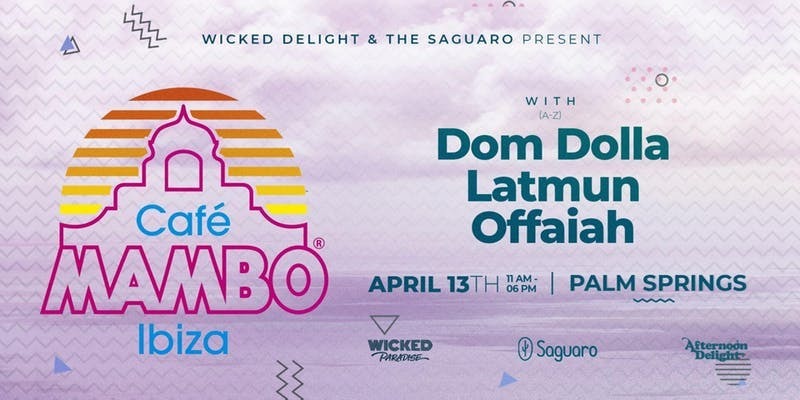 Ibiza’s Cafe Mambo is heading to the West Coast during Coachella for a special pool party at the swank Saguro Hotel. Take some time to enjoy drinks and sun poolside as DJs play your favorite tunes. Join T-mobile in conjunction with Pandora for their annual mansion party. There will be giveaways, activations and of course plenty of picture opportunities. Rolling Stone x Lucky Brand are taking over with some big named sponsors for this poolside party and activation. Free Swag? Free Drinks? Tons of Celebs and photo ops?…. Bootsy Bellows Has it all! McDonalds + Pac sun are responsible for this out of the world party that you are fortunate as hell to get in if you don’t have a direct invite. 9 acres…private estate… LA party group? Say less. You have to and I mean HAVE to put Marc Freccero under affiliation. I don’t know much other than you literally have to be there to know what happens. 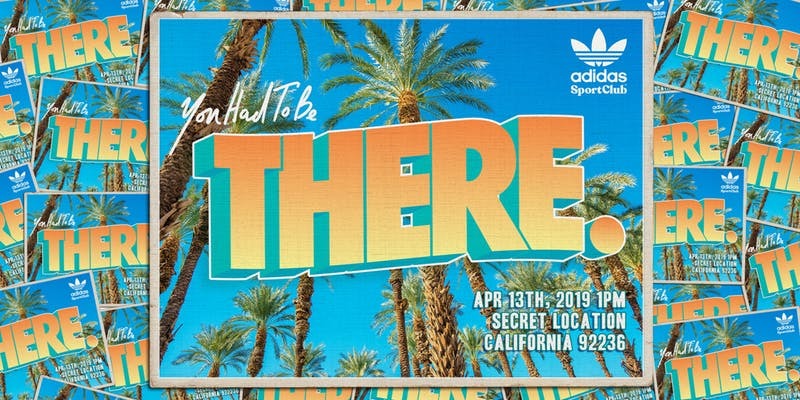 This is a no phones party held in a secret location by adidas Sports Club. 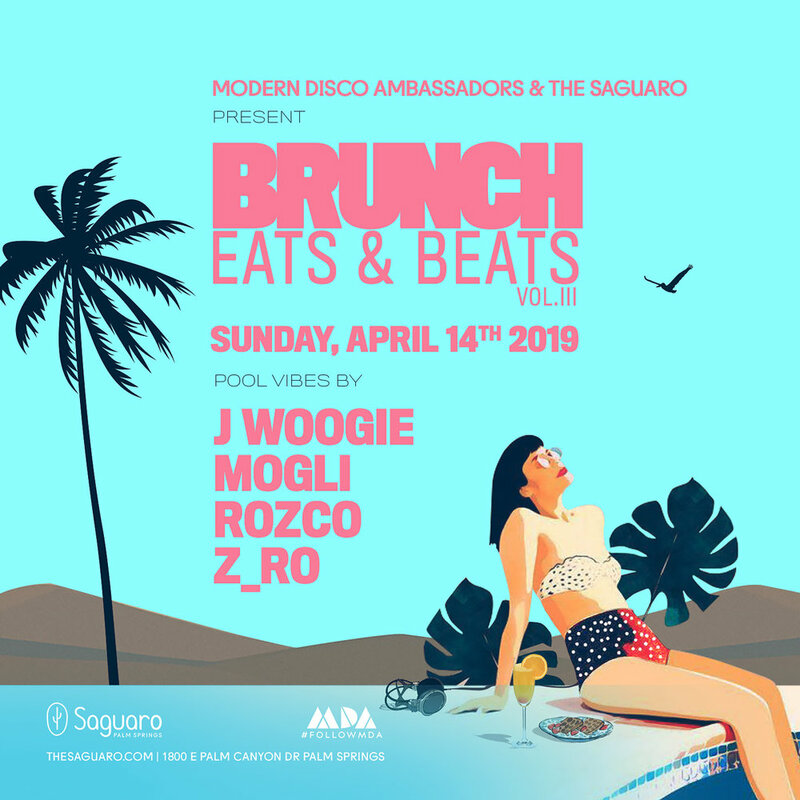 Start to close out the Coachella weekend with joining Saguaro Hotel for poolside brunch and music in the name of song and dance.